Most people have never heard of Tenerife, a pan-shaped speck in the Atlantic. It’s one of the Canary Islands, a volcanic chain governed by the Spanish, clustered a few hundred miles off the coast of Morocco. The big town on Tenerife is Santa Cruz, and its airport, beneath a set of cascading hillsides, is called Los Rodeos. There, on March 27, 1977, two Boeing 747s — one belonging to KLM, the other to Pan Am — collided on a foggy runway. Five hundred and eighty-three people were killed in what remains the biggest air disaster in history. The magnitude of the accident speaks for itself, but what makes it particularly unforgettable is the startling set of ironies and coincidences that preceded it. Indeed most airplane crashes result not from a single error or failure, but from a chain of improbable errors and failures, together with a stroke or two of really bad luck. Never was this illustrated more calamitously, and almost to the point of absurdity, than on that Sunday afternoon over 30 years ago. In 1977, in only its eighth year of service, the Boeing 747 is already the biggest, most influential, and possibly the most glamorous commercial jetliner ever built. For just these reasons, it’s hard not to imagine what a story it would be — and how much carnage might result — should two of these behemoths ever hit each other. Really, though, what are the chances of that — a Hollywood script if ever there was one. Both of the Tenerife 747s are charters. Pan Am has come from Los Angeles, with a stopover in New York; KLM from its home base in Amsterdam. As it happens, neither is supposed to be on Tenerife in the first place. They are scheduled to land at Las Palmas, on the nearby island of Grand Canary, where many of the passengers are on their way to meet cruise ships. After a bomb planted by Canary Island separatists explodes in the Las Palmas airport flower shop, they divert temporarily to Los Rodeos, along with several other flights, arriving around 2 p.m. The Pan Am aircraft, registered N736PA, is no stranger to notoriety. 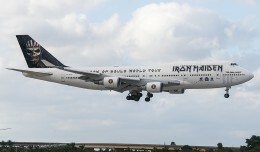 In January, 1970, this very same plane completed the inaugural commercial voyage of a 747, between New York’s Kennedy airport and London-Heathrow. Somewhere on its nose is the dent from a champagne bottle. White with a blue window stripe, it wears the name Clipper Victor in frilly writing along the forward fuselage. The KLM 747, also blue and white, is named The Rhine. Both aircraft photographed while waiting on the Tenerife holding pad prior to the accident. Let’s not forget the airlines themselves: Pan Am, arguably the most storied franchise in the history of aviation, requires little introduction. KLM (Royal Dutch Airlines), for its part, is the oldest continuously operating airline in the world, founded in 1919 and highly regarded for its safety and punctuality.The KLM captain, Jacob Van Zanten, whose errant takeoff roll will soon kill nearly 600 people, including himself and all 247 others on his plane, is the airline’s top 747 instructor pilot and a KLM celebrity. Passengers may recognize him in the concourse, or descending the spiral staircase of the 747’s first class cabin. His confident visage stares out from KLM’s magazine ads. Later, when KLM executives first get word of the crash, they will attempt to contact Van Zanten in hopes of sending him to Tenerife to aid the investigation team. The normally lazy Los Rodeos is packed with diversions. The Rhine and Clipper Victor sit adjacent to each other at the southeast corner of the apron, their wingtips almost touching. Finally at around 4 o’clock, Las Palmas begins accepting traffic again. (Imagine, today, the idea of an airport reopening within a few hours of a terrorist bombing.) Pan Am is quickly ready for departure, but the lack of room and the angle at which the jets face each other requires that KLM leave first. 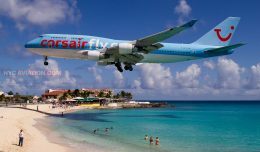 The weather is fine until just before the accident, and if not for KLM requesting extra fuel at the last minute, both would be on their way sooner. During the delay, a heavy blanket of fog swoops down from the hills and envelopes the airport. 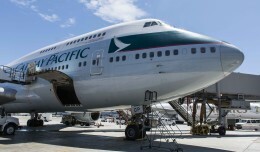 That fuel also meant extra weight, affecting how quickly the 747 would, or would not, become airborne. For reasons you’ll see in a moment, that would be critical. Because of the tarmac congestion, the normal route to runway 30 is blocked. Departing planes will need to taxi down on the runway itself. Reaching the end, they’ll make a 180-degree turn before taking off in the opposite direction. This procedure, rare at commercial airports, is called a “back-taxi.” At Tenerife in ’77, it will put two 747s on the same runway at the same time, invisible not only to each other, but to the control tower as well. The airport has no ground tracking radar. KLM taxis ahead and onto the runway, with the Pan Am Clipper ambling several hundred yards behind. Captain Van Zanten will steer to the end, turn around, then hold in position until authorized for takeoff. 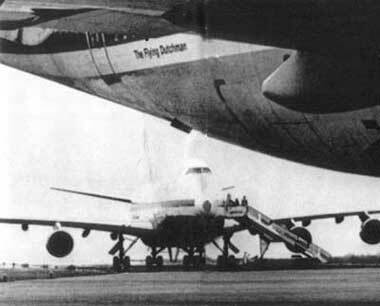 Pan Am’s instructions are to turn clear along a left-side taxiway in order to allow the other plane’s departure. Once off the runway, they will report so to the tower. 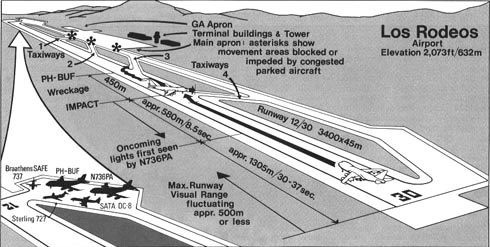 Depiction of the Los Rodeos airport layout and the chain of events leading to the disaster. Having wheeled into position at the end, Van Zanten comes to a stop. His first officer, Klaas Meurs, takes the radio and receives the ATC route clearance. This is not a takeoff clearance, but rather a procedure outlining turns, altitudes, and frequencies for use once airborne. 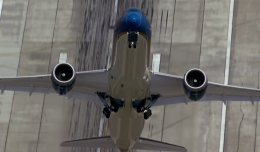 Normally it is received well prior to an aircraft taking the runway, but the pilots have been too busy with checklists and taxi instructions until now. They are tired, annoyed, and anxious to get going. The irritability in the pilots’ voices, Van Zanten’s in particular, has been duly noted by the control tower and other pilots. There is no reply, but the silence is taken as a tacit, if not exactly proper, acknowledgment. Pilots and controllers communicate via two-way VHF radios. The process is similar to speaking over a walkie-talkie: a person activates a microphone, speaks, then releases the button and waits for an acknowledgment. 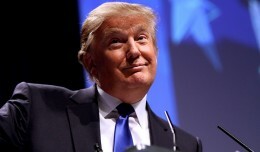 It differs from using a telephone, for example, as only one party can speak at a time, and has no idea what his message actually sounds like over the air. If two or more microphones are clicked at the same instant, the transmissions cancel each other out, delivering a noisy occlusion of static or a high-pitched squeal called a “heterodyne.” Rarely are heterodynes dangerous. But at Tenerife this is the last straw. Very interesting re-telling of perhaps one of the most oft-repeated examples of what not to do. I may add that back-tracking (what you call back-taxi), is not rare at all, at several airports around the world, especially those airports with a single runway, however, this by itself is not a major contributing factor for that unique accident. The decision by the KLM Captain to begin the take-off roll, without an explicit take-off clearance from the tower, is what really set those tragic events in motion. The diversion from Las Palmas, the delay, the extra fuel, the fog, the single runway, the missing of the exit (in fog), the crew rest times, and every other factor mentioned, are happening on a daily basis around the world’s airports, yet thankfully, we did not witness a similar accident. If Captain Jacob Louis Veldhuyzen van Zanten waited a few more seconds for his clearance, then we could be back to Mar 27, 1977 where Most people have never heard of Tenerife. Being a survivor of the lynyrd skynyrd plane crash, I had to watch it. I met one female survivor of the canary islands disaster. There is nothing more graphic and brutal. 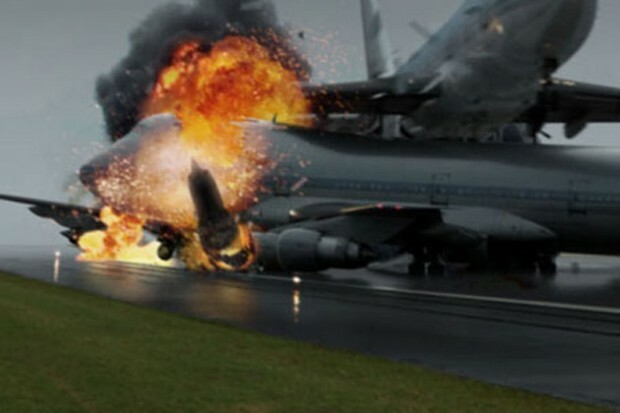 Your “Continued on the Next Page >>” link tries to take me to http://www.nycaviation.com/2012/05/we-gaan-the-horror-and-absurdity-of-historys-worst-plane-crash/2/. The year and the month look a bit off on that URL, so I get a 404 error. The pages   option looks (and works!) fine. I am a survivor of this accident. While 544 people died immediately, I am of 75 initial survivors and am in a subgroup of 14 walking survivors who were treated at Candelario Hospital then transported to Hotel Mencey. I am also 1 of 2 photographers that Sunday afternoon. Recently I published a book about my experience and more. My book is “Never Wait for the Fire Truck” and is on Amazon. Even more recently I commissioned a website for the book: http://www.canaryislandscrash.com which also has some of my photos from that day and more. This seems like the dark ages of technology… I hope airlines today have clearer radio capabilities and some sort of radar on every jet that shows what is in front of it for gods sake!